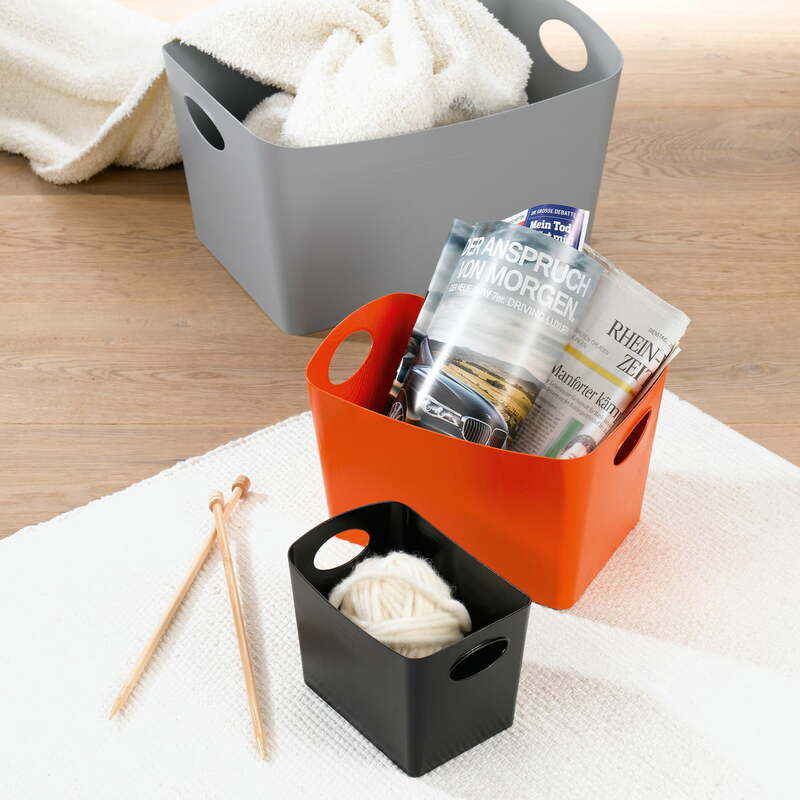 The storage box Boxxx L by Koziol is great in functional aesthetics and usable volume. It is long, wide and high enough to be used as as collector for paper, to store cleaning agents, for toys and much more. With its two handle holes you can move it also when fully packed comfortably you from A to B. And last but not least, the Boxxx L as the largest of the series allows a complete range of smaller sizes to be nested in it. This way, several storage boxes can be stored easily and space-savingly at the same time. The collecting containers by Koziol are available in different sizes and colours. 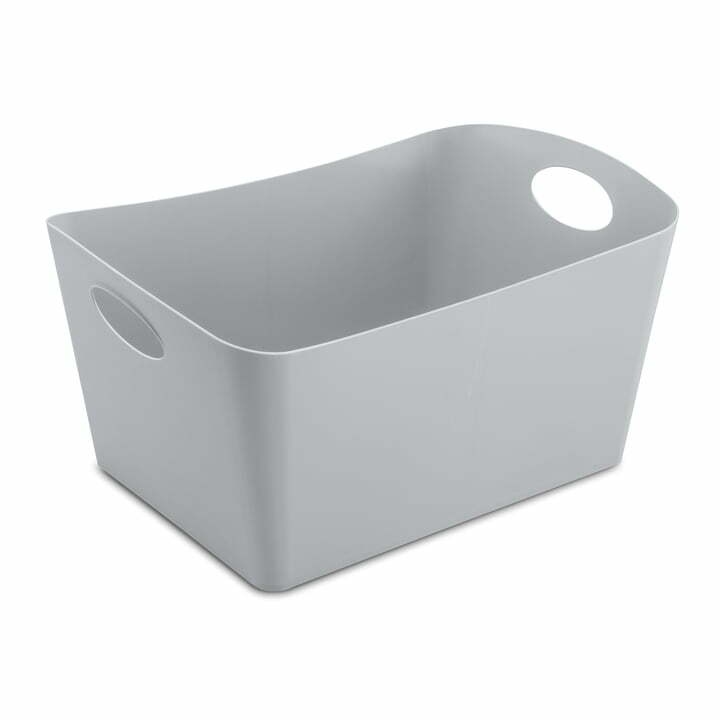 Individual image of the Boxxx L storage box by Koziol in grey. With its two handle holes you can move it also when fully packed comfortably you from A to B. 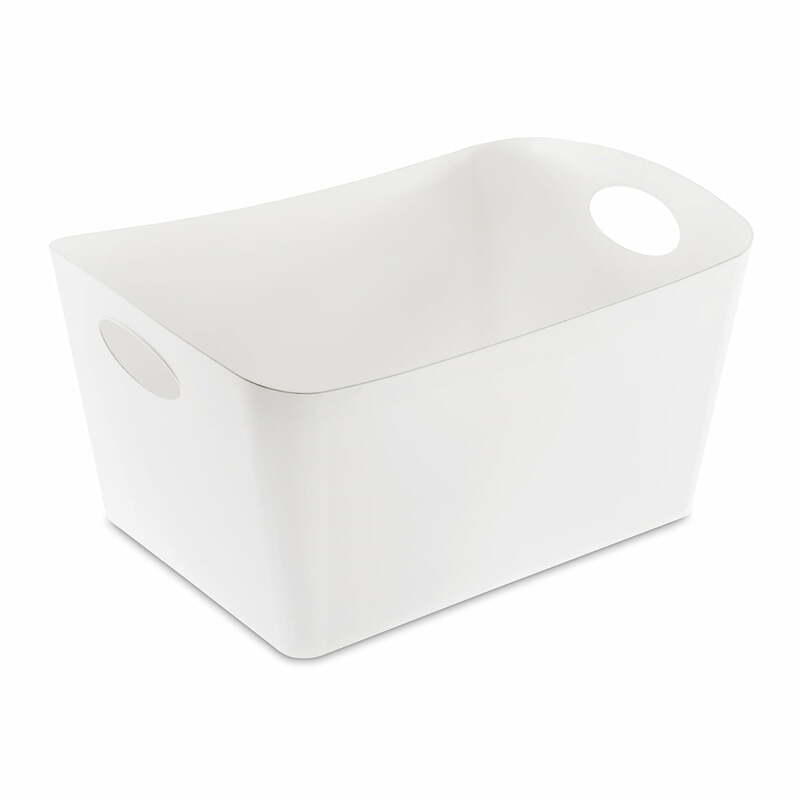 Individual image of the Boxxx L storage box by Koziol in white. With its two handle holes you can move it also when fully packed comfortably you from A to B. The format of the Boxxx by Koziol is designed so that two Boxxx S fit precisely in the Boxxx M and form a nest. 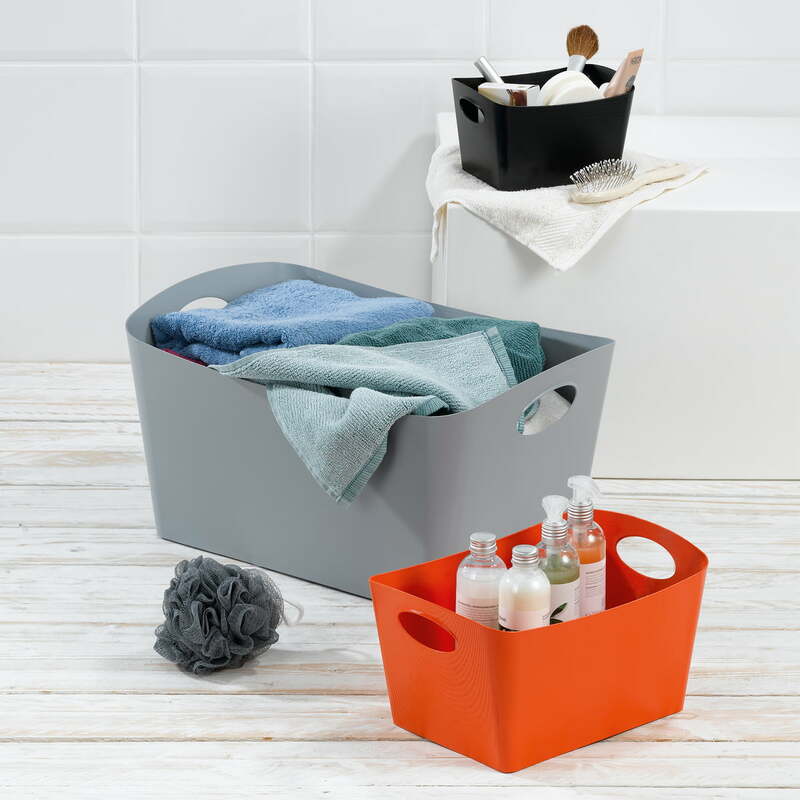 Boxxx M in turn fits two times in the Boxxx L.
In addition to the Boxxx container in S by Koziol, with a capacity of 1 l, the practical storage box is also available in sizes M (3.5 l) and L (15 l).